The other week, George Osborne, the UK’s Chancellor of the Exchequer presented his latest budget to the House of Commons. Whilst this is largely UK focused many of the points are of relevance to UK expats and also to people with assets in the UK. This article is a brief overview of the relevant points. It appears that the main focus of this year’s UK budget was on reducing tax ‘leakage’ from specialist investments and from companies, as well as maximising allowances with an emphasis on providing greater flexibility in how people can save for the future. There were no major changes regarding international or offshore investment, but the proposed changes to how UK pension benefits can be taken will affect many expats. The standard Personal Allowance, the amount that an individual can receive as income arising in the UK before Income Tax is payable, will increase from £9,440 to £10,000 for the 2014/15 tax year. I understand there may be a future consultation on whether, and how, the personal allowance can be restricted to UK residents and those living overseas who have a strong economic connection to the UK. 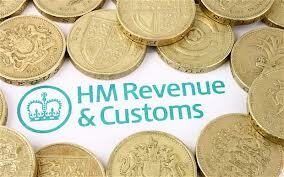 The Higher Rate Band, which starts at £41,451, will increase to just to £41,865 in April, and then to £42,285 in 2015-16. No changes announced, but please see a previous article about the Autumn Statement (See here ) regarding proposed changes in respect of UK property. In respect of Private Residence Relief, legislation will be introduced to reduce the final period exemption from 36 months to 18 months, in most cases. Any change will apply from 6 April 2014. The IHT nil rate band will remain unchanged at £325,000 until the tax year 2017/2018. As house values have been increasing again this means that many more estates will be liable to IHT. This is the big news! The Chancellor has proposed that from April 2015 pension investors who have reached age 55 should be able to take the whole of their pension as cash. The first 25% is likely to be tax free (dependent on residency), whilst tax will be payable on the remainder, but at the individual’s highest rate. Whilst the requirement to buy an annuity was removed some years ago, the alternatives were really only viable for people with larger pension funds and there were still restrictions as to how much could be withdrawn from the pension fund each year. Despite a great deal of negative press, annuities are not all bad as although they can appear to offer very poor value, they have the advantage of guaranteeing an income, however long a person lives. If you live a relatively short life after annuity purchase it will be a poor return, but live rather longer than the average and it can provide an excellent return – with no risk of monies running out. The issue here is really one of choice. The changes put the responsibility in the individual to ensure that they manage their pension fund wisely so that it lasts a lifetime. In the first stage of changes, for those who are starting to take an income directly from their pension fund, in an arrangement known as flexible drawdown, the maximum they can withdraw has increased from 120% of the annuity the pension fund would have bought, up to 150%. 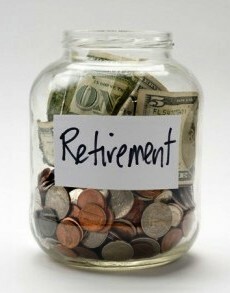 For people who have built up only small UK pension funds, there will be more flexibility. The limit on the total fund size below which the whole amount can be taken as a lump sum (known as a trivial commutation lump sum) will increase from £18,000 to £30,000. The biggest change is that the Government is also abolishing the 55% tax charged on cash taken out of a pension fund in excess of the 25% allowance. For the majority of UK pensioners that means they will be taxed at only 20%, although many with larger pension pots, and income from other sources, will be taxed at their marginal tax rate of up to 45%. The changes will apply to defined contribution/money purchase arrangements, so it is likely that many people in older style occupational pension plans, final salary schemes, will see this as a further reason to transfer to a personally managed arrangement. It is not however, the only reason to transfer pension monies and unbiased professional advice should be taken before making any changes. Taking a large amount of money out of a pension and into personal ownership will increase the value of a person’s estate and thus potential Inheritance Tax liabilities, so it may not be the best option for everyone. Note however, that it has been mooted that the Government will ban transfer from public sector scheme to private arrangements and will consider similar restrictions on private sector schemes. If you are in such an arrangement and think it could be in your interest to transfer it may be best to act promptly. Please contact me for more information. These changes will offer more choices for many individuals, but, as ever, care must be taken to ensure the right course of action is chosen. This is the biggest change in pension legislation for many years and the logistics of handling the new rules have to be ironed out, so no need to take immediate action. Of course, the changes don’t negate the importance of managing existing pension fund properly and saving sufficient amounts going forward. Cash and shares ISAs (Individual Savings Accounts) are to be merged into single a New ISA, the NISA, with an annual tax-free savings limit of £15,000, increasing from the current limit of £11,520 with effect from 1st July. 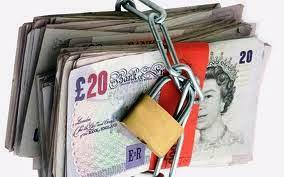 The limit for Junior ISAs will be lifted to £4,000. Air Passenger duty: all long haul flights to carry the same lower tax rate as currently charged for flights to the United States. From April 2015, economy class passengers on all long-haul flights will pay £71 in tax, or £142 for business class. Stamp duty to be charged at 15% for property purchased through a company. For assistance please contact me on keren@holbornassets.com or comment below. This entry was posted in General financial information, News, Pension, Tax & info and tagged expat pensions, Independent financial advice in the UAE, Retirement planning, UK Budget 2014, UK pension, UK tax. Bookmark the permalink.